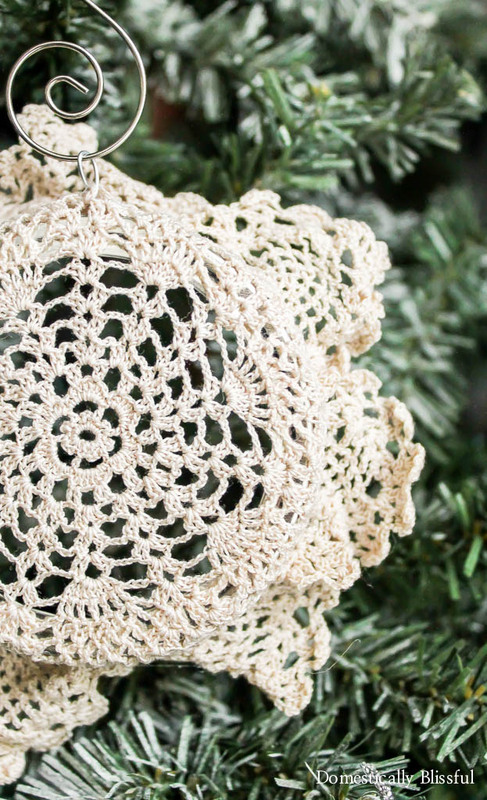 This DIY Doily Christmas Ornament is a beautiful way to repurpose & recycle old items to create a beautiful new Christmas ornament filled with memories. After a week of trying to get over this weird cough sickness it’s time to get back on track with blogging & more importantly with Christmas! 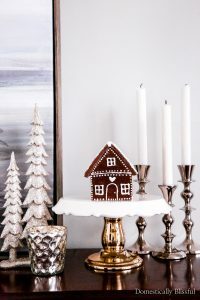 While creating my Mini Grey Wreath Christmas Ornaments I started experimenting with random things that I have in my little craft/blog room in an attempt to find new ways to decorate & create Christmas decor. As I was going through a large metal container I found a bunch of doilies that I had forgotten I owned. A few summers ago I came across a yard sale that was in the process of ending & being packed up. 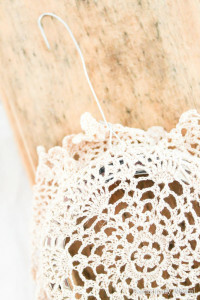 As I started rummaging around the last of their items I found a pile of lace crocheted dollies. After picking out a few of my favorites the ladies offered all of the dollies to me for a few dollars. Needless to say I was very happy to take them all off their hands! But since buying the doilies I have done very little with them. Outside of using one for my DIY Painted Lace Pots & a few for backdrops in pictures I haven’t done much with all of my super inexpensive yard sale dollies. 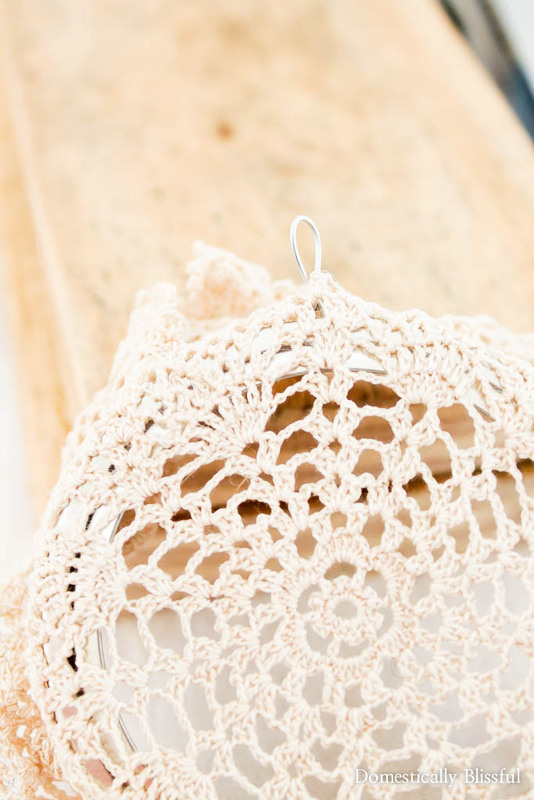 So since I am making an extra effort right now to get rid of clutter or find a way to repurpose it I decide to choose the latter for this adorable doily. And I am so happy with the results! 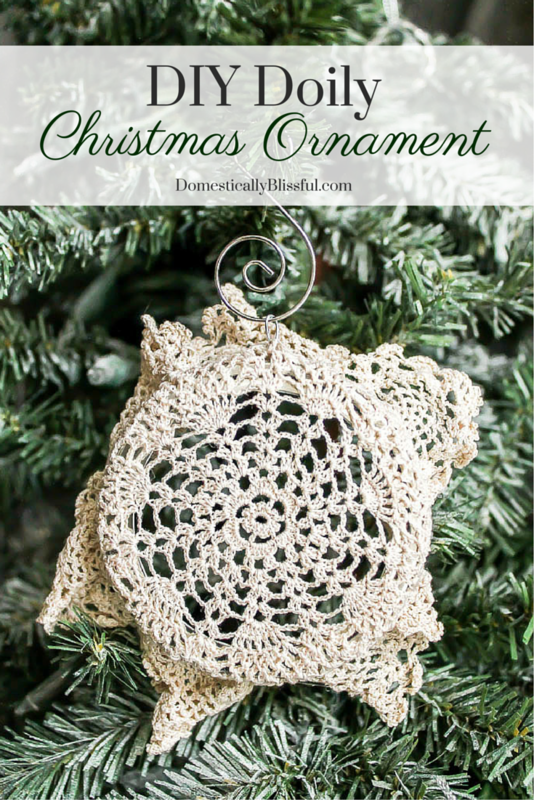 Creating your own Doily Christmas Ornaments is a beautiful way to repurpose doilies that are special to you but have been sitting in a drawer unused. 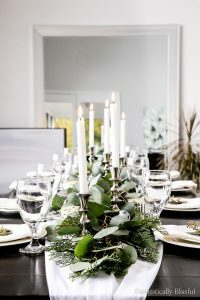 Not only will you be able to display them in a way that can be enjoyed year after year, but also your family & friends will get to see & enjoy them too! 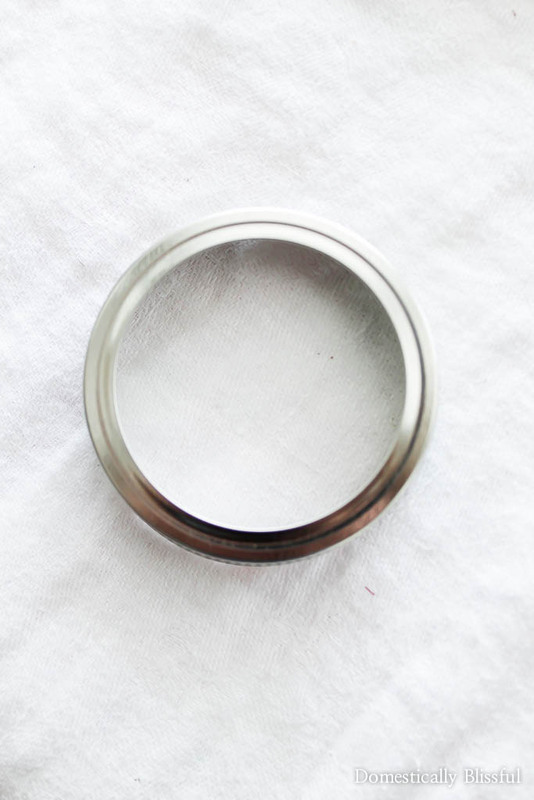 First, stretch out the doily & hot glue it to the edges of the mason jar ring. 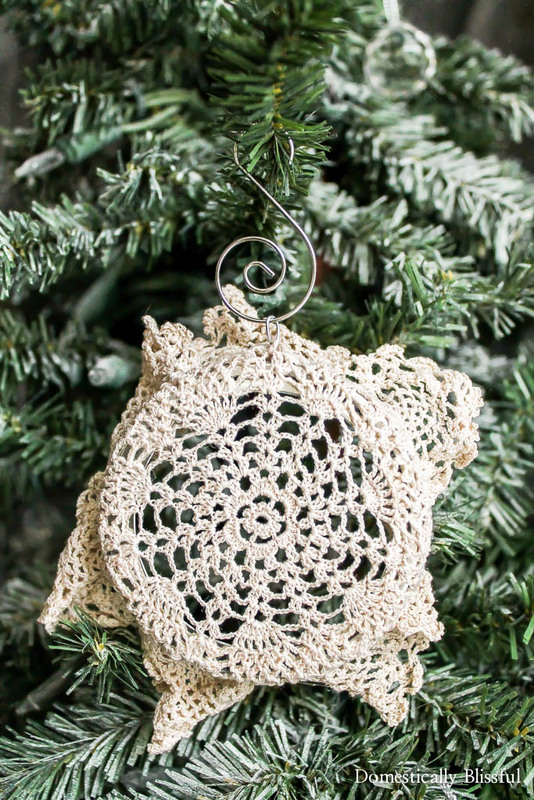 Then attach a cheap christmas ornament hook, twisting it to create a loop, & cutting off the excess. Flip over the loop so that the sharp edges are concealed under the doily & add a decorative Christmas ornament hook . 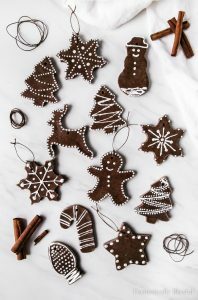 All that’s left is to hang it on your Christmas tree! 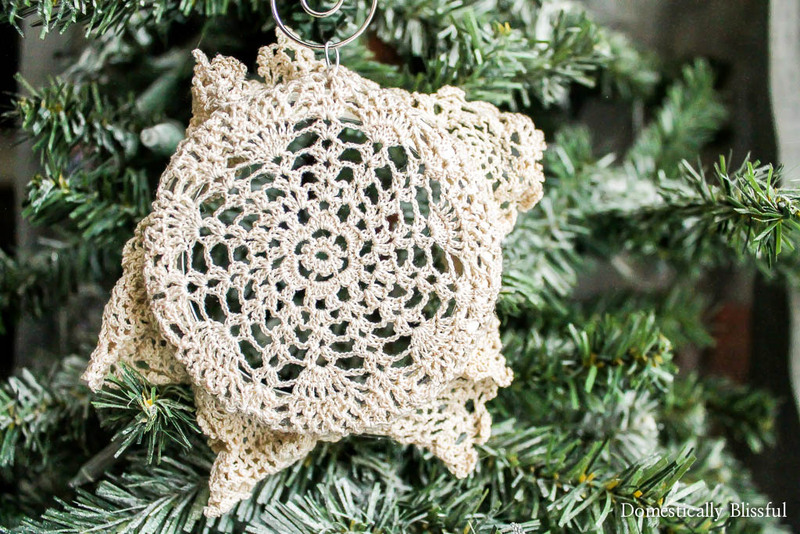 I’d love to see your Doily Christmas Ornament! 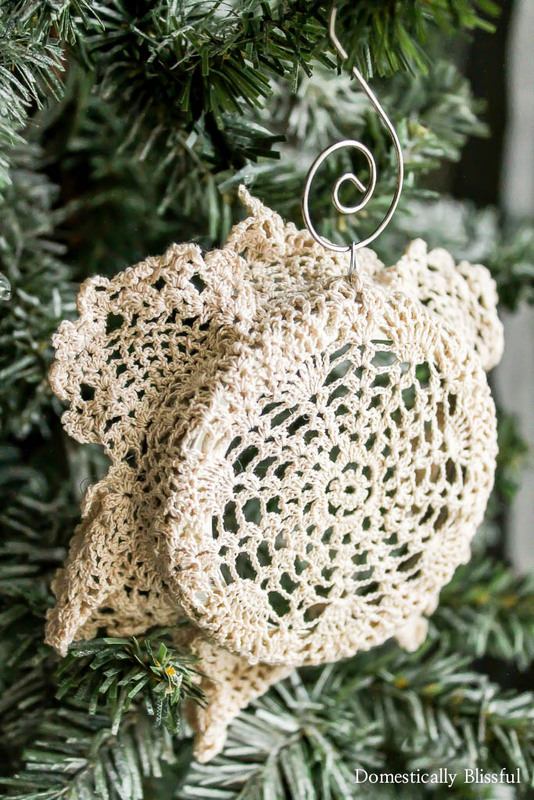 Very pretty doily ornament. 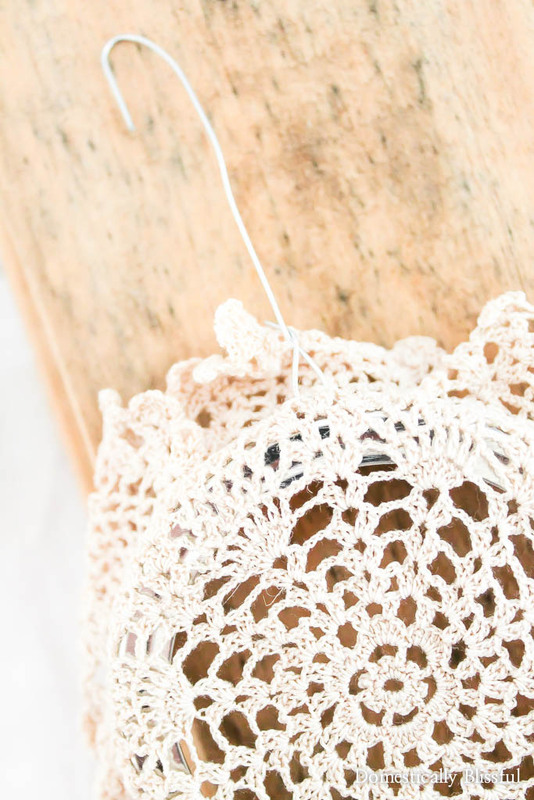 If you don’t want to glue an heirloom doily you can rubber band it around the lid and then cover the band with a decorative ribbon! Just a thought! Thanks, Connie! That’s a great idea! 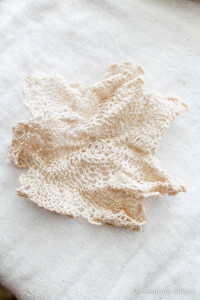 I used a doily I purchased secondhand, but if I ever receive an heirloom doily I’ll remember your tip! I hope you have a blissful day!